The cost of peace is always high. 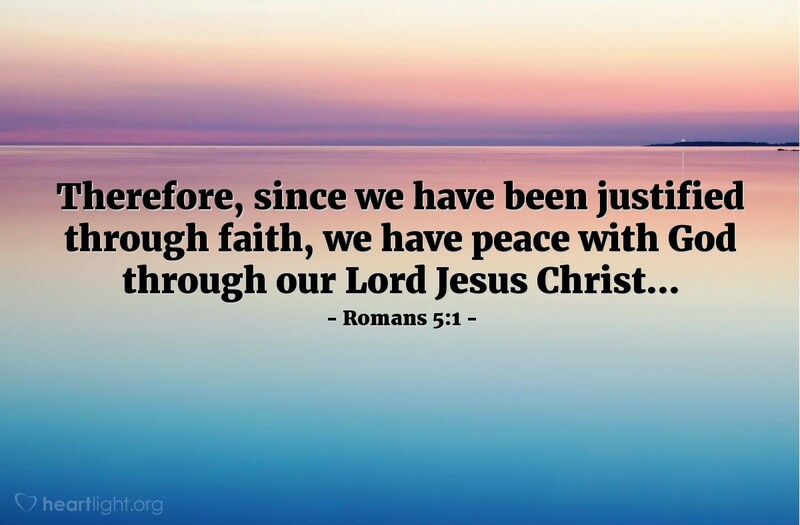 Our peace was purchased by Jesus' enormous sacrifice. God made sure the price for our rebellion was paid, but he didn't make us pay it because we could never have fulfilled our obligation. Instead, God paid it himself in Jesus. Holy and loving Father, thank you for making peace and bringing me back to you at great cost to yourself. Thank you, Lord Jesus, for willingly surrendering yourself to the horrible cruelty of the Cross. Thank you that I'm not treated as your enemy because of my sin, but as a lost sheep that needs to be found. Thank you for adopting me as your beloved child. In Jesus' name I offer my thanks and praise. Amen.